admin replied to Feika's topic in Сайт и Форум. Проблемы и предложения. letter delivery will be replaced by cargo delivery very soon heavy cargo good profit in reals for a manageable short route to provide for 100% losses in PvP if you urgently need cash. Steam now removes reviews that are off topic (not related to the game) given good number of reports on them. They are firefighting in shifts. Ship width does not allow all of them to get to fire AT THE SAME TIME. Only a 100 can get directly to fire at one point of time, too crowded. You are not allowed to fight another man in the quiet library, nursery, or any other peaceful establishment EVEN if you both agree to do so. These are the rules. If you want to fight a duel over the matter of horses or any other matter - War server is such establishment. 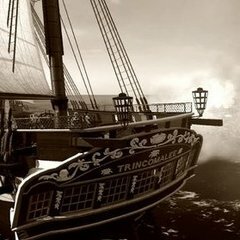 Clans remove trolling and griefing by alts or spies in port control or port battles. National unity is nice but 3-4 alts in lynxes could ruin your port battle before. Now they cant. Cheating accusations follow the simple rule. If you accuse the person you must do it in tribunal with proof OR not do it at all. As many players feel that their reputation is important - you spreading false rumors instead of factual proofs are not helping both the game and the community. Only your post contained empty air cheating accusations. Hey Hey. Look. There are rules on reporting exploits and cheats. Unlike other developers who cant fix their walhacks or push everything into client we invested a lot into tech that removes cheating or client hacking completely (even waves are on the server). As as a result unlike other devs we do not hide from such questions and do not remove discussions on cheats as we actually want them to be discussed to make tech even better for this and future games. But this must be done in special places (like tribunal) with proof. If you found something - post it and explain how it works. Better with videos. Posts without proof are just empty air and they are not allowed. Mods hide posts that do not follow the rules. Thank you for the proposal. There are no plans to bring combat PvP to peace server. Peace server is friendly and helpful. Any form of conflict will ruin the relaxing and tranquil experience. the system should allow you to get the guns when players did not supply them. The optimal way would be to just raise the NPC prices allowing players to provide them at lower price - not completely remove them. The current game exceeds all expectations laid during the steam greenlight and it was only possible due to hard work and tremendous support by this community. Comparisons with large teams will not move things faster. We have a great game providing hours of entertainment already and we can only make it better, step by step. But these steps wont ever compare to 300 people teams. It was smaller but still had 50 people all the time mate - they were funded well by VCs too. check their reports We are bootstrapped and never had more than 2 programmers. Captains should reduce any expectations and only expect things indicated on the steam greenlight page. the income per hour matters, not 11 hours per day. There are trade routes giving such options. 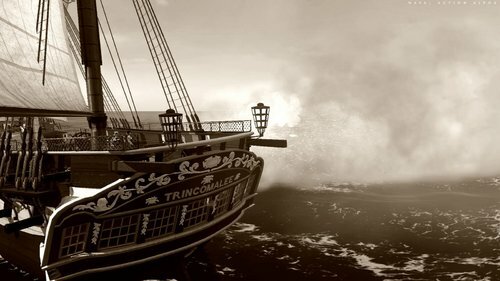 But if you wish to take a long multiday route you can make really good money providing you with income for 5-6 first rates or hundreds of frigates at cost.